Review with top management (leadership) to discuss the outcome of the gap analysis and explore the impacts, implications and opportunities associated with the transition. e.g. review of business context, interested parties, system objectives and consider integration with other management systems. 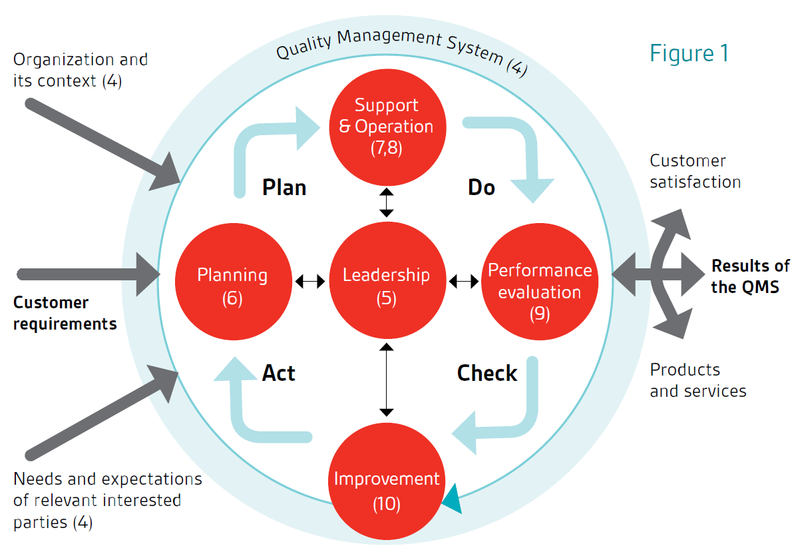 The diagram below illustrates how the 10 clauses of ISO 9001:2015 can be applied to the traditional PDCA model.